Custom jewelry will be cherished for years to come. 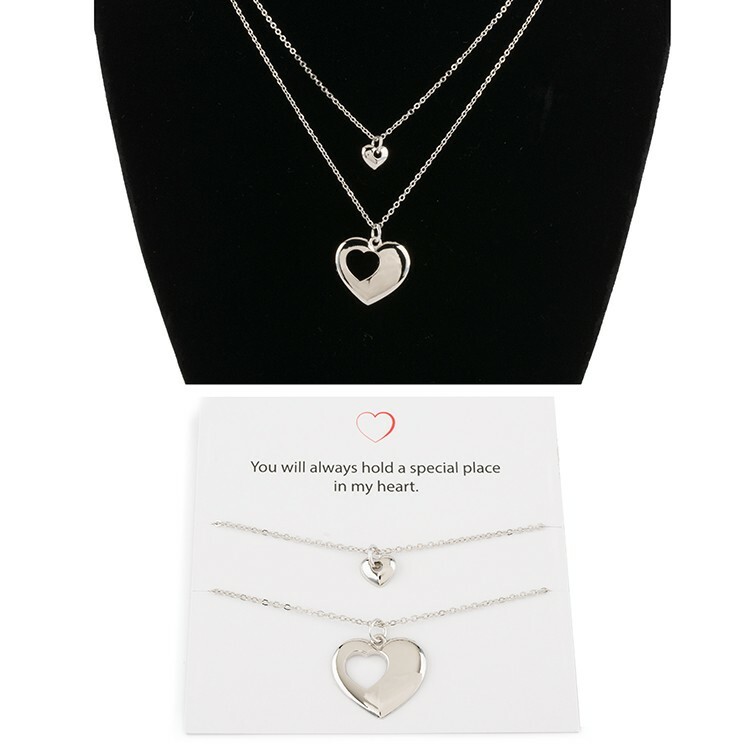 This heart charm set was created as a mother & daughter necklace and comes in simple custom packaging. Call today and our team will work with you to create an elegant keepsake.